This research review explores the state of research on increasing wildfires across the Western U.S. and attribution to climate change. The Trump Administration could declare war on clean cars by freezing existing federal fuel economy standards and eliminating California’s ability to set its own tailpipe emissions standards. These moves would constitute grievous harm to the environment, public health, and U.S. economy – but how much? 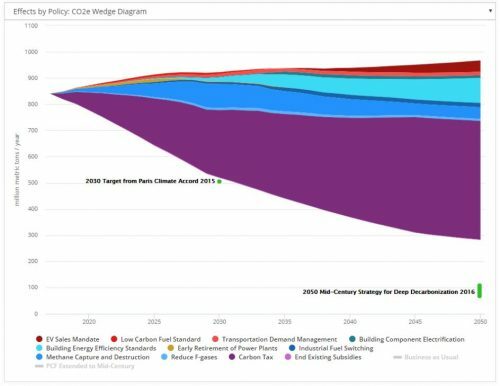 This research review explores progress made on expanding clean energy achieving a stable climate, as well as challenges remaining, from 1998 to 2018. This research review proposes several alternative pathways and potential actions to avoid dangerous global warming and achieve a 1.5C future. A draft memo from the U.S. Energy Department proposes using Cold War-era emergency powers to subsidize uneconomic coal and nuclear generation. This statement analyzes the proposal’s potential impact to U.S. power markets.